The mountain range known as the Pyrenees is located in the far south west of France forms a geological boundary between Spain and France. Most of the mountains are located in Spain, with the northernmost peaks stretching into France. These peaks are not so high as their cousins in the east, the Alps, but are equally as spectacular and provide some excellent scenery and ski resorts too. In the winter, there are many snow-based activities on offer in one of the ski resorts, and in summer there are activities like walking, horse trekking and cycling available. Part of the route of the Tour de France even passes through these fantastic mountains. 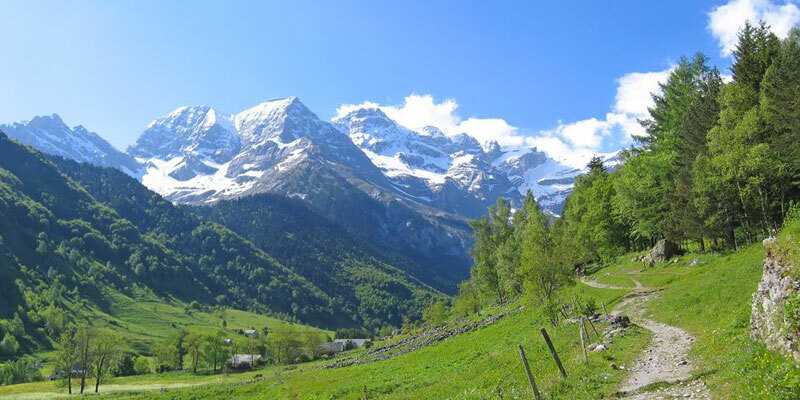 Home to around 40 different ski resorts, The Pyrenees make the perfect destination for those interested in skiing and boarding in the winter, as well as walking and climbing in the summer. The resorts range from lovely old authentic chalets to newer, parisien-commissioned concrete resorts. We have a great range of accommodation in the Pyrenees, from chalets to holiday apartments, and there is something for everyone.